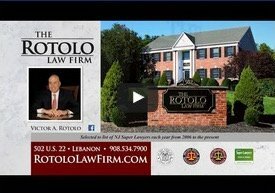 Founded in 1992 as The Rotolo Law Firm and headquartered in Lebanon, NJ, Rotolo Karch Law provides legal representation to clients primarily from Central New Jersey including Hunterdon County, Somerset County, Warren County and the surrounding communities. The Firm’s attorneys, led by Victor A. Rotolo and Steven J. Karch, focus on Divorce and Family Law, Personal Injury Law, Criminal Defense, Motor Vehicle Violations, and Alternative Dispute Resolution. Comprised of a team of legal professionals whose aggregate experience exceeds 120 years, Rotolo Karch Law is additionally supported by a knowledgeable administrative staff, all of whom maintain the considerable standards of quality and excellence upon which the Firm was founded. The reputation Rotolo Karch Law has achieved is the culmination of years of providing legal representation, delivered with proactive concern in handling its clients' interests. The legal advocates at Rotolo Karch Law are committed to protecting the rights and best interests of its clients while pursuing litigation philosophies utilizing tactics designed to develop cost-effective strategies. Hunterdon County divorce lawyer Victor Rotolo, founder of the Firm, comments about the Firm's overall philosophy as follows: "At Rotolo Karch Law, serving our clients is our first priority. As a client, you will be apprised of the status of your case on a continual basis, as it proceeds. Your phone calls will be returned in a timely fashion, and we will always take the time to discuss your concerns and questions. When you become our client, we make these commitments to you." 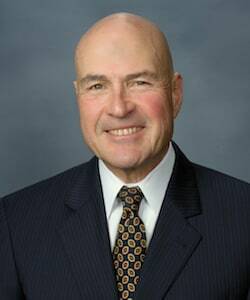 Formerly a member of the City of Elizabeth Police Department, Victor A. Rotolo has this unique background and experience adding to his 38 years practicing trial law in the State of New Jersey. Victor was appointed by the New Jersey Supreme Court to the Supreme Court of New Jersey District XIII Ethics Committee from 2009 to 2011 and was honored to serve as both the Vice Chair and Chair. Steven J. Karch was named partner of the Firm effective July 1, 2017. 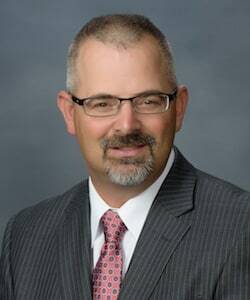 He first joined the Firm in April 2013, focusing his practice in the areas of Family Law and Civil Litigation. In addition to his courtroom experience, Steven is a Family Law mediator available to assist clients seeking to resolve their Family Law disputes through Alternative Dispute Resolution options. Most legal issues, whether related to Family Law, Personal Injury or Criminal offenses, can be highly emotional for those involved. That is why the attorney/client relationship is so important. The legal team at Rotolo Karch Law is committed to helping its clients satisfy their expectations and reach their ultimate goal, whenever possible. To this end, our Hunterdon County divorce lawyers offer the respect and understanding each client deserves, and approach every case, whether a trial or negotiation, with care and compassion. Victor Rotolo and his team draw on experiences from both the legal and judicial systems to develop strategies for helping clients find resolution to their legal disputes. The Firm will make efficient use of in-house resources and outside consultants to achieve legal resolutions in your best interests. Often times, different areas of the law overlap and consistency in the attorney/client relationship can be beneficial. The broad areas of focus among the attorneys comprising Rotolo Karch Law legal team help the Firm provide that consistency. For instance, our family law attorneys can help clients navigate the divorce process through traditional courtroom proceedings or, alternatively, serve as mediator or arbitrator for those clients who choose to pursue available Alternative Dispute Resolution (ADR) options. Our centrally located Hunterdon County, NJ offices are equipped to accommodate opposing parties in ADR proceedings, which helps to streamline negotiations making for a more efficient process. For most people, divorce involves more than dissolving a marriage. Our Hunterdon County divorce attorneys stand ready to help you resolve any property distribution or post-divorce issues you may have, and also will help negotiate terms of alimony, child support, and child custody and/or visitation matters, if necessary. Our Firm has handled numerous personal injury cases, ranging from motor vehicle and construction accidents to injuries from defective products, burns, slip-and-falls, and dog bite cases. We will review the details of your case and advise you on the course of action that will suit your best interests. When it comes to criminal offenses, our justice system was built on the belief that a person is innocent until proven guilty. Our attorneys aim to uphold that belief by working diligently to defend your rights against any criminal charges you may face. In addition to the primary areas of Family Law, Personal Injury and Criminal Defense, the attorneys at Rotolo Karch Law have experience representing clients in juvenile matters, including shoplifting, vandalism, and drug and underage drinking offenses; motor vehicle violations, particularly DUI / DWI charges; and employment law matters. Although New Jersey is an at-will employment state, meaning that an employee can be terminated with or without notice at any time, for any cause, there are certain behaviors that are against the law, in particular sexual harassment and discrimination based on age, race, religion, and disabilities. Our attorneys are prepared to represent your rights under such circumstances. The attorneys of Rotolo Karch Law live and work in the same community as the people they serve. It is our goal to make a difference in our clients’ lives and, in turn, take steps to improve our community. Millions of people are injured each year in car accidents on roadways throughout the country, making auto accident injuries the number one personal injury claim. A majority of auto accidents can be attributed to driver behavior and his or her failure to use what the law terms ‘reasonable care.’ Behaviors most commonly attributed to car accidents include distracted driving, speeding, drunk or drugged driving, tailgating, failure to observe traffic signs or signals, improper turns, wrong-way driving, and driver fatigue. Other contributing factors include weather, pot holes, road construction, tire blowouts, automobile design defects, animal crossings, and inexperience. Whatever the cause, car accidents can have a serious, traumatic effect on those involved. n addition to the stress they experience, car accident victims may also suffer serious injuries, leading to costly medical expenses and, in some cases, lost wages as a result of lengthy recovery times. While car insurance, which is required by New Jersey State law, may cover some expenses associated with an accident, victims may also be entitled to recover damages resulting from the injuries and damages they suffer. If you are involved in a car accident, our Hunterdon County personal injury lawyers will work with you to prove your case or defend you against claims brought by another driver. Some of the most acrimonious issues relating to divorce involve child custody and child support matters. Most parents want what is best for their children. Parents facing a divorce, however, can’t always agree on what ‘best’ is. When a divorce involves minor children, it is important to determine who has legal and/or physical custody. New Jersey courts will use “best interests of the child” guidelines when ruling on these matters. Fortunately, there are a variety of child custody arrangements, ranging from sole custody to co-parenting agreements, designed not only to protect the children, but also to preserve, when possible, the relationships these children have with each parent as well as with their siblings. Sometimes it is determined that it would be in a child’s best interest to spend the majority of time with one parent over the other. In these instances, further negotiations regarding child visitation schedules and child support may be necessary. When agreements on these matters are reached, they become court orders which all involved parties are legally bound to abide by. Divorce can be highly emotional and these emotions can cloud the judgment of those involved. Our attorneys are experienced in all matters of Family Law, including child custody and child support. We are prepared to help guide you through this process to arrive at arrangements that are in both your best interest and the best interests of your child. Driving under the influence of drugs or alcohol continues to be a major problem on our nation’s roadways. In New Jersey, a DUI or DWI offense is considered a traffic violation; however, these charges carry costly penalties that can have lifelong implications. The financial impact of a DUI or DWI conviction can be huge, resulting in fines and surcharges, higher insurance rates, court costs, lawyers’ fees, and costs associated with the installation of a court-mandated Ignition Interlock Device. There is also the potential of lost wages since New Jersey does not recognize provisional driver’s licenses. In addition to these monetary penalties, drivers also face the possibility of jail time, community service, the suspension of driving privileges and professional licenses, and mandatory attendance at an Intoxicated Driver Resource Center. Unfortunately a large number of DUI/DWI-related accidents result in serious injury or even death. If you are involved in a fatal accident while under the influence of alcohol or drugs, your DUI/DWI charge changes from a traffic violation to an indictable offense. As a result, you could be brought to trial and, if convicted, face potential jail time of one year or longer. Our attorneys have experience in both municipal and trial court. We will prepare your defense against DUI/DWI charges to help minimize the impact these charges can have on your reputation and career, and we will defend your rights at trial should you face more serious charges. Victor A. Rotolo has been included on the List of New Jersey Super Lawyers in the years 2006, 2007, 2008, 2009, 2010, 2011, 2012, 2013, 2014, 2015, 2016, 2017, 2018 and 2019, marking his fourteenth year of inclusion on this list. The Firm is also pleased to announce that associate Charles Rifici was named to the list of New Jersey Rising Stars for 2019. This is his third year of selection to the Rising Stars list. Further information about Victor A. Rotolo may be obtained from viewing his Avvo Profile, Super Lawyers Profile, Martindale-Hubbell, and the Victor A. Rotolo website page. Victor Rotolo has once again received the Gold Client Champion award from Martindale-Hubbell. According to Martindale-Hubbell, this recognition is "based on the quantity and quality of an attorney's Martindale-Hubbell client reviews, [and] demonstrates an ongoing commitment to delivering excellent client service." The Million Dollar Advocates Forum members are attorneys who have won verdicts and settlements in the amount of one million dollars and above. Members of the Multi-Million Dollar Advocates Forum have won multi-million dollar settlements and verdicts.